Nowadays, a growing number of consumers attempt to prepare estate planning and other documents of legal significance without professional assistance. These do-it-yourselfers are penny-wise and pound-foolish. This Alert examines several cases in which the decedent attempted to create or modify his own estate plan, with disastrous results.A growing number of consumers are attempting to prepare estate plans themselves. They use paralegal services or companies such as LegalZoom.com, LawDepot.com, and Nolo.com for the preparation of important legal documents such as Wills, Trusts, and Powers of Attorney. They are using similar means for the creation of business entities such as corporations, partnerships, and limited liability companies. This type of self-help can often lead to unintended consequences and results. It can also lead to beneficiaries incurring legal fees (in order to unwind the mess) far in excess of what it would have cost to hire an experienced estate planning attorney to handle the matter in the first place. A wealthy Texan tried to save some attorney fees and created a Will using a form he had found in a library book. The Will left everything to his wife. While there is no Texas estate tax and there would be no federal estate tax paid at his death (assuming his wife survived him), this strategy left their estate vulnerable to millions of dollars of federal estate tax upon his wife’s death. This is because the amount that he could have passed free of estate tax, which was $3.5 million in 2009 and could have been preserved, was lost upon his death. As a result, his wife had to hire an attorney to develop and implement a tax savings strategy. While the estate planning attorney was successful in achieving this result, the resulting plan was not as flexible as one that could have been implemented if her husband had consulted with an experienced estate planning attorney before his death. Furthermore, they could have avoided thousands of dollars in legal fees and court costs if the husband had sought competent advice from an estate planning attorney instead of creating his do-it-yourself estate plan. Another man, this time from California, drafted his own Will. The Will left to his fiancé the following property: his homes in California and Nevada, 36% of a corporation, a $275,000 promissory note owed by the corporation to him, his individual retirement account, and various bank accounts. The Will also designated his nephew as the beneficiary of other real estate he owned and his sisters as beneficiaries of his “Oregon assets.” At the time of his death, he owned 31% of the corporation and the corporation owed him approximately $500,000. The bank accounts he had designated to go to his fiancé no longer existed. He did not own any property in Oregon. However, the corporation was incorporated in Oregon and he owned shares in a limited liability company that owned some Oregon farmland. Further, the designated beneficiary of his IRA was his sister, and not his fiancé, as provided for under his Will. As is often the case in this type of situation, the decedent’s family was hostile to his fiancé and sought to obtain as much of his estate as possible. As required under the IRA beneficiary designation, it was paid to the decedent’s sister, notwithstanding the instructions of the Will which provided it was to go to his fiancé. With regard to non-IRA assets, the decedent’s family alleges that the Will was ambiguous. They now contend that, since the decedent owned 31% of the corporation and not the 36% stated in the Will, he must have intended a bequest of 36% of his 31% ownership interest in the corporation to his fiancé, with the balance to pass to them by the laws of intestacy of the state of California. This would leave about 11% of the corporation to his fiancé and 20% to the family. The family also contends that the amount of the promissory note in excess of the $275,000 amount designated in the Will should pass to them under the laws of intestacy and not to the fiancé. The family further contend that all the bank accounts should be transferred to them because the bank accounts designated in the Will no longer exist (the bank failed and the accounts were taken over by another bank). Finally, the family has taken the position that the shares of the Oregon corporation and LLC are Oregon assets, while the fiancé has taken the position that the shares of the corporation were bequeathed to her and the shares in the LLC are personal property under California law and should pass by the laws of intestacy. The decedent failed to dispose of all his assets under the Will and did not designate to whom he wanted the remainder or residue of the estate distributed. He further failed to designate an executor to manage his estate, so the fiancé and family members are battling in court over who gets control of the estate. Due to the ambiguity and omissions in the Will, there is disagreement as to who should bear the costs of administering the estate. All of these issues will need to be resolved through a trial in the Probate Court. Finally, because the decedent owned property in California, Nevada, and perhaps Oregon, the estate will be probated in at least two courts. Had the decedent taken the time to consult with a competent estate planning attorney, all of these financial issues could have been avoided and the relationship between the fiancé and the decedent’s family might not have deteriorated so much. In yet another case, CBS correspondent Charles Kuralt, several weeks before he died in 1997, drafted a letter to Patricia Shannon, his mistress of twenty-nine years. In the letter he promised to leave Patricia his ninety-acre ranch in Montana. Kuralt’s Will, which had been drafted in 1994 by an attorney, left everything else to his wife. Patricia Shannon and Charles’ family spent the next six years in court fighting over whether the letter written by Kuralt was a valid amendment (or “codicil”) to the 1994 Will drafted by the attorney. The Montana Supreme Court ended up ruling that it was Mr. Kuralt’s intent for the Montana ranch to be distributed to Patricia Shannon, pursuant to the letter. To add insult to injury, the court further held that Kuralt’s family was liable for the estate tax attributable to the value of the ranch. Thus, Kuralt’s letter attempting to modify the attorney-drafted Will caused extensive litigation and emotional turmoil. These are but a few examples of the problems that can arise with estate plans created or modified by someone other than an experienced estate planning attorney. Our law firm focuses its practice on drafting estate plans including Wills, Trusts, Powers of Attorney, and Health Care Directives. 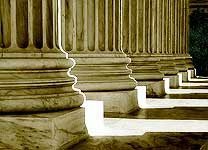 As a member of the exclusive nationwide group of estate planning attorneys, the American Academy of Estate Planning Attorneys, we are kept up-to-date on all the new laws, case law, and other developments relating to estate planning and administration. You can take advantage of our specialized knowledge by scheduling a free consultation with one of our attorneys for yourself or one of your clients by calling our office or by visiting our website.